The subtle bouquet reveals spring-like notes of fresh citrus fruits, smoky mineral aromas and hints of lightly toasted almonds. The wine has a talc-like chalkiness and is both soft and full-bodied, with a silky mouthfeel and a long finish. The blend is 70% Pinot Noir and 30% Chardonnay, with 37% of the wine vinified in oak tuns with weekly bâtonnage (stirring by hand); it is not subjected to malolactic fermentation. 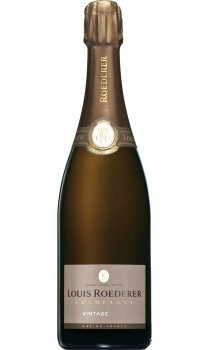 The Vintage cuvée is aged, on average, for four years in Louis Roederer’s cellars and left for six months after dégorgement (disgorging) to attain optimal maturity. The dosage is 9 g/l.